I did this card for my friend Holly, who is Featured Stamper this week at Splitcoaststampers. Holly and I are on a couple of design teams together, and I love her cards which are always so creative and wonderful. Congratulations Holly! I cased this card of Holly's, keeping the blues and the snowflake theme but changed my background using my Holiday Knit stencil sponged with blue ink. I added a die cut snowflake in gold glitter paper, and did my sentiment with gold embossing powder. I really love sparkle at Christmas, and this card I think fits the bill. Products: Frantic Stamper Frosty Snowflake, Tim Holtz Holiday Knit Stencil, Impression Obsession Merry Christmas, Tim Holtz Distress Ink Broken China, Gold Glitter Paper, Neenah Cardstock, Gold Embossing Powder. So gorgeous! You can never go overboard with the glitter and sparkle for Christmas cards, can you? 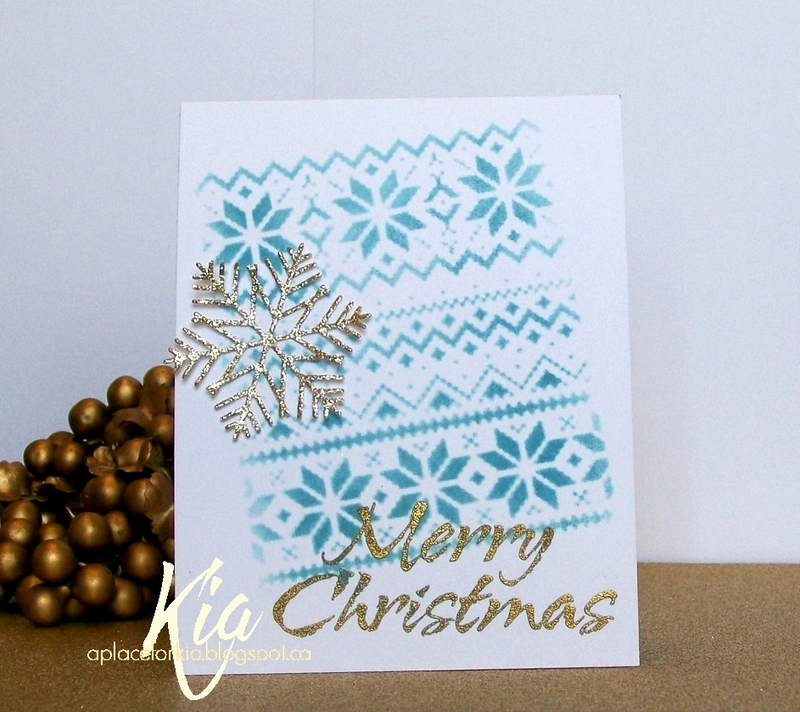 :-) I love your glittery snowflake and that beautiful stenciling! Great idea for making use of the big snowflake die. I have a few of them that I need to figure out what to do with, other than use on scrapbook pages. 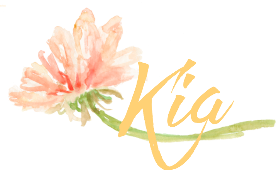 Love the colors you used, Kia.